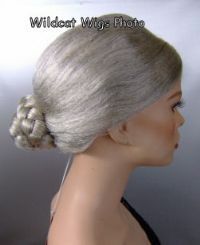 Very cool Old Lady Bun Wig .. bargain version in but still very nice. This is a great theatre or costume wig. This listing is for the GRAY wig but I also have this in WHITE on a different listing.